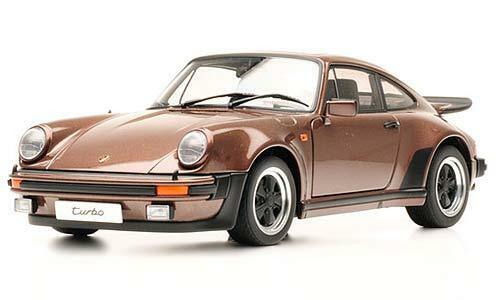 Porsche 911 Carrera Turbo 3.0 Copper Brown 1/18 Scale by AUTOart, $249.99 at Modena Motors Inc.
New arrival. Stunning detailing AUTOart is famous for. An automotive legend reproduced in diecast form. Limited availability so act fast! !